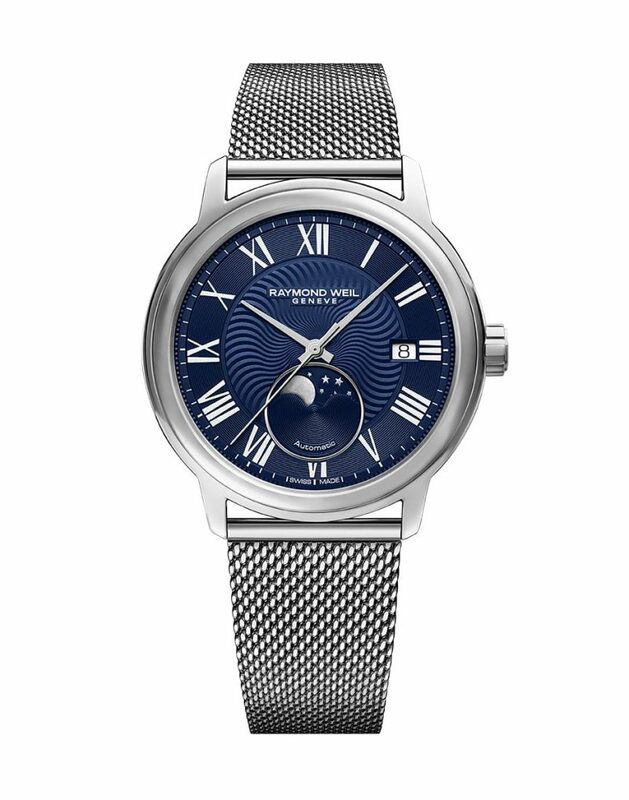 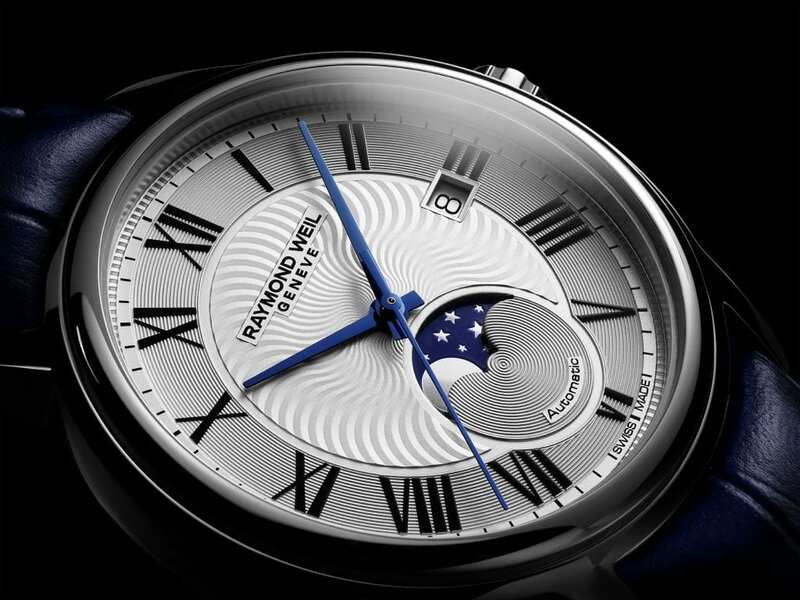 Swiss luxury watchmaker RAYMOND WEIL unveils the maestro Moon Phase, a classically styled timepiece featuring an elegant moon phase indicator. 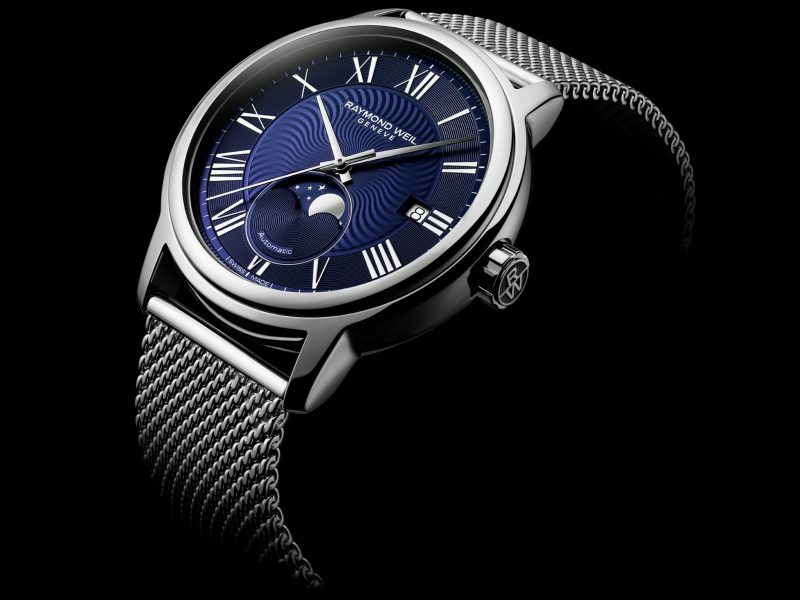 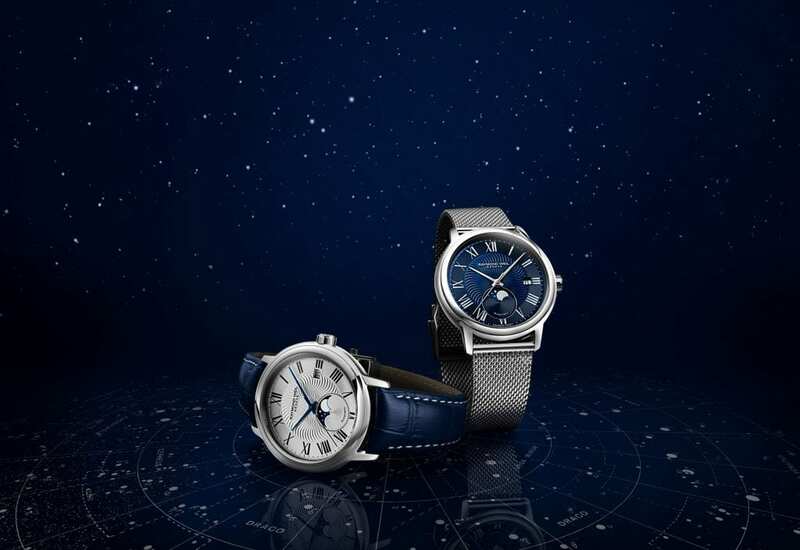 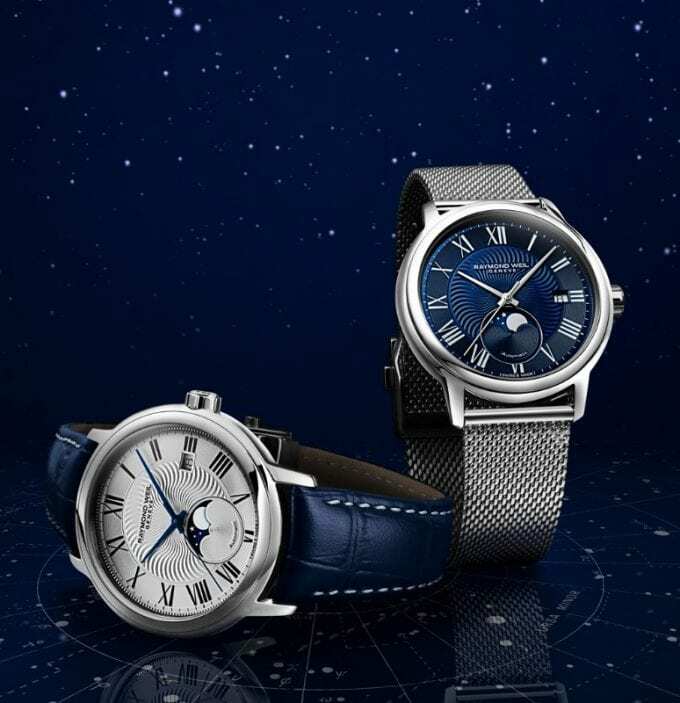 The final note to perfect the maestro Moon Phase is the matching blue genuine leather strap or steel mesh-type bracelet, both paired with a stainless steel folding clasp and a double push-security system. 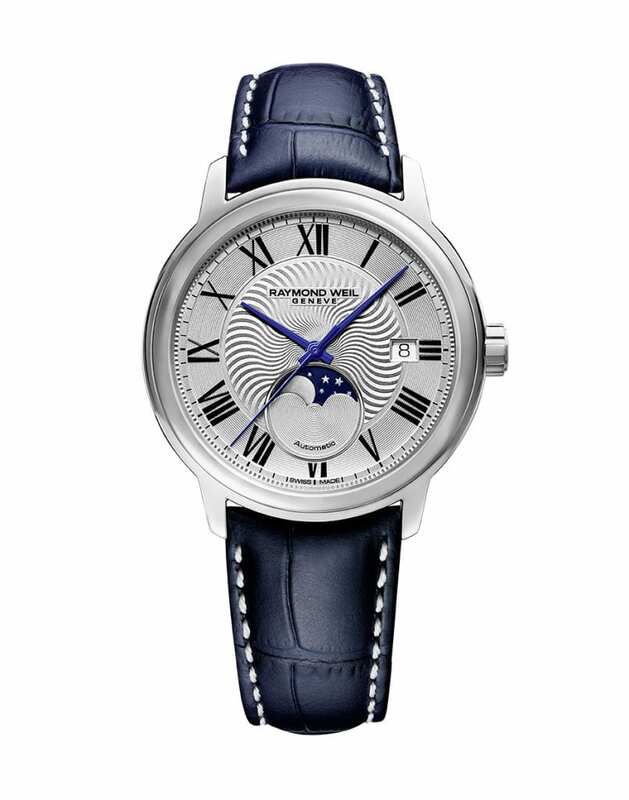 This new model is offered in five variations all symbolising the Brand’s deep attachment to its watchmaking roots.